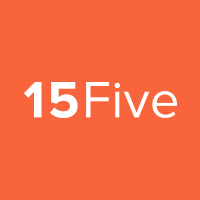 If you have a large staff, 15Five can help you keep your reports in order by creating Groups. 15Five administrators can create a group for anyone. For groups created by an admin, the group administrator must be another admin or a reviewer. The other option- reviewers can create their own groups that includes anyone they have the ability to manage. Check the 'Manage people' page to see who can be included in your group. Once the group is created, 15Five administrators and the group administrator can manage. If you would like to learn more about the group permissions and visibility, please read this article. If you are a Reviewer, your team will already be recognized as a group, read more about Smart Groups. Looking for information on Objectives and creating departments for Objectives? 1. Click on your avatar in your upper right hand corner. 2. Click on 'Manage people'. 3. Click on 'Manage groups' in your left hand navigation. 4. Click on 'Create a new group'. 5. Add your Group, Group name, Group admin, Group members, select Settings, and click on 'Create group'. Now that you have created your group, learn how to create group questions in 15Five!